Welcome to our new site! 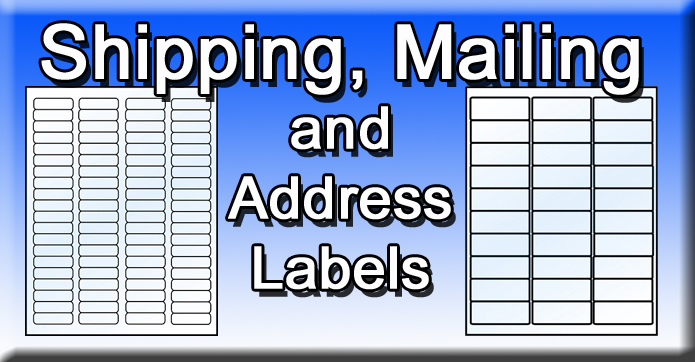 We hope you enjoy the new features which include Order Tracking and our Quick Shipping Calculator to any location in the world. 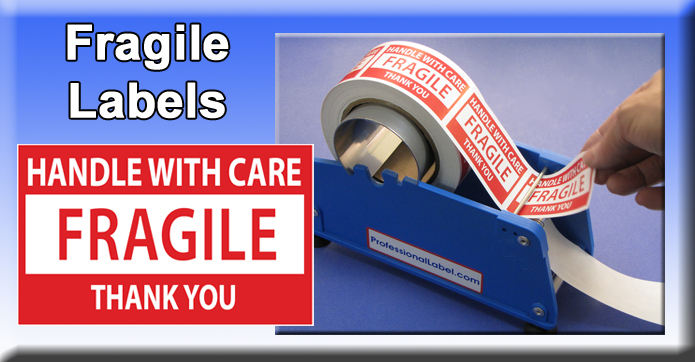 We make top quality clear round labels and seals for use as package and box sealing labels, along with media labels and case inserts, and labels on sheets that you can print yourself with our free templates. 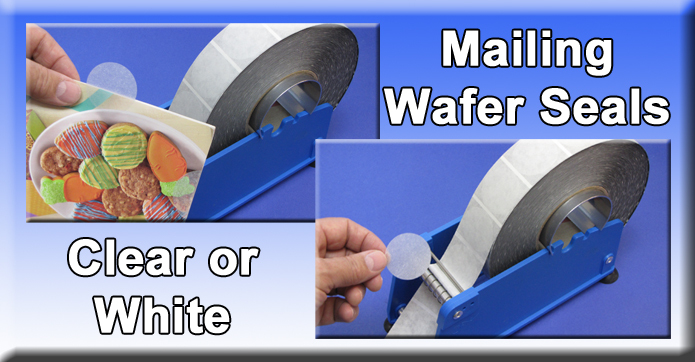 Our other specialties include Fluorescent / Dayglo labels on sheets and mailing wafer seals to meet USPS regulations for closing pamphlets. Orders before 3PM EST will usually go out same day! 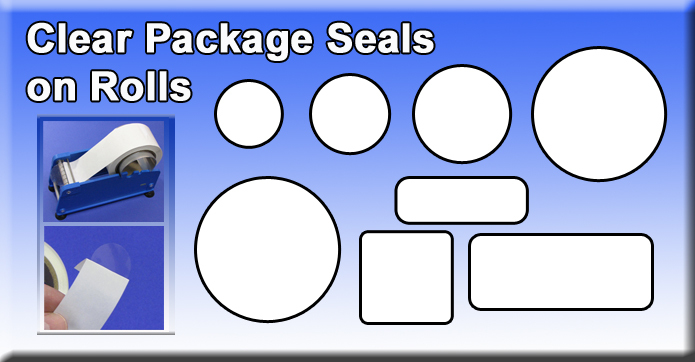 Our famous clear box seal sticker selection is sure to meet your needs. Choose from Glossy or Matte Blu-ray Case Inserts and DVD Case Inserts in photo quality. 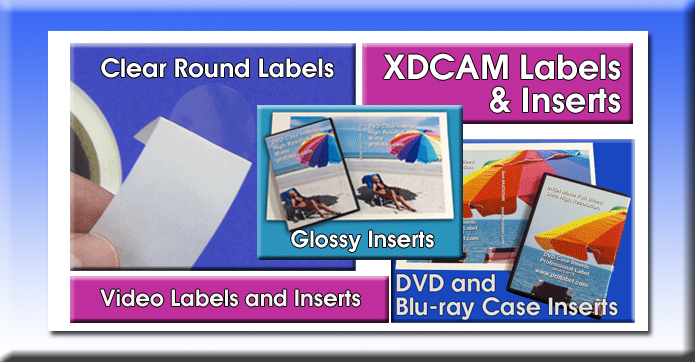 Beta, XDCAM, HDCAM, Dvcpro, Dvcam, and CD labels and inserts. Easy checkout with PayPal, or Credit Card.